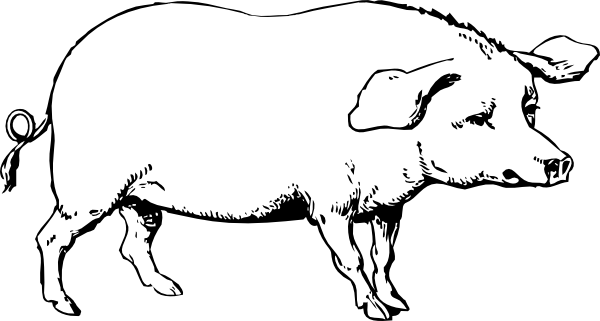 He twisted and rolled the pebble between his fingers, staring straight ahead at the black pig, lying tied to a post sunk in bone grey dirt in the middle of the field. Six piglets scrabbled and tugged at her underbelly. I thought of Mum back home with the twins, which made me feel bad. I scuffed my shoe in the dust, made myself not think of her. A father-son thing. That’s what Dad had called this. He talked about it for weeks before driving us out here this morning. We left the car way up the track, then hiked down here to the pigs, me on his shoulders. I loved that. Father-son thing. I didn’t know exactly what he meant by it, but I liked how it sounded. His fingers learned the pebble shape. As I wondered if he was working out how it might fly through the air, a gentle sway in his wrist crept up to his elbow before starting his whole arm in motion. He raised his left foot as though to stamp, then leaned in to throw. His lobbing arm blurred, zipping the pebble from us so fast that I couldn’t track it with my eyes. Way over in the middle of the field, the piglets scattered as the tethered sow struggled to her feet and stumbled for a moment under her bulk. The post gave a bit, but she wasn’t hit, just bothered. A burst of brown dust beyond her showed where the pebble had landed after it flew past her snout. I wondered if she felt its wind as it went by. Such a distance to throw. I stretched my right arm in front of me, compared it to Dad’s. It was barely the length of his forearm. He swept his lobbing hand across the dry, grey ground at his feet, hooking another pebble, then stared back at the pig. She was looking at him now. I wondered if her post was strong enough to hold her if she tugged at it hard. How long could you throw pebbles at a thing before it broke loose and came at you? He sized her up for what felt like ages. This time when he threw, the pig tugged harder, wobbling her post so much I thought she might pull it from the ground. Not thinking, I slipped my hand into Dad’s for safety. He pulled his hand easily from mine, dry and dusty from the dirt on the pebbles. The pig calmed, but didn’t stop watching. “A man can think too hard,” said Dad. In a single smooth motion, he swept his lobbing hand across the ground at his feet, scooped a small grey pebble, winding it up and back behind him, before his whole right side arced and he threw, I think, without looking. A dull thud. The pig eyed Dad, lazily, dazed, but she didn’t tug at her post. Just gave a resigned snort, then lay down again in the dust. The piglets were on her belly again in an instant. I wondered what pigs remember. I craned my head to look up at Dad, edging myself closer to him, and found him already looking down at me. He smiled. A half smile, as much as he ever smiled. I reached out to hold his hand, found something hard and smooth in it, warmed by the sun. Martin Reed is a UK based writer and editor. By day, he makes a living writing meaningful words about homelessness. By night he makes things up. His short fiction has appeared more than 20 publications, including Critical Quarterly, Litro, Battered Suitcase and The Foundling Review.